A talk with governance consultant Cathy Trower on the strengths and weaknesses of nonprofit boards, and why higher expectations for board members are good for our field. As nonprofit providers face an increasingly complex operating environment and growing competition from the for-profit sector, how well is nonprofit governance keeping up with change? Are mission-driven boards functionally, structurally and strategically prepared to keep their organizations growing and innovating? For a snapshot of what boards are doing well and not-so-well, LeadingAge spoke with governance consultant Cathy Trower, president of Trower & Trower, a firm she runs with her husband, William Trower. 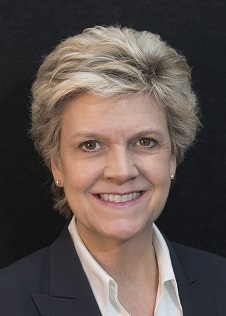 She is also vice-chair of the board at BoardSource, a national organization devoted to supporting and educating nonprofit boards, and is vice-chair of the board at RiverWoods Exeter, a LeadingAge-member life plan community in New Hampshire. Trower is the author of several books, including The Practitioner's Guide to Governance as Leadership: Building High-Performing Nonprofit Boards. LeadingAge: How did you catch the “governance bug”? Cathy Trower: In graduate school (at the University of Maryland) when working on my Ph.D. in higher education administration and leadership. A good portion of what we talked about was leading at the board level. I continued that for 16 years at the Harvard Graduate School of Education, where I conducted research on faculty governance matters. As a consultant, for the past 21 years, I’ve worked with nearly 170 nonprofit boards to improve their performance. LeadingAge: You’re now vice-chair of the board at RiverWoods, a LeadingAge member in Exeter, NH. What is your history with that board? Cathy Trower: I’ve been on other nonprofit boards, and I’m on the board of BoardSource, where our goal is to make all nonprofit boards better. I first started at RiverWoods as a consultant. Justine Vogel [president and CEO of The RiverWoods Group] thought if the organization was going to go forward and really meet the future and excel we needed a better board. We needed to galvanize it to have a shared understanding of what great governance is and how you execute it. She brought me in on 2 occasions to work with the board, and after the second time she asked me to join. I declined because of all my other commitments, but then she asked me again. I was so impressed with the organization and its culture and values, I decided to do it. LeadingAge: Can you share some observations about the strengths and weaknesses of the nonprofit boards you’ve seen? Cathy Trower: Most nonprofit boards are pretty good at the fiduciary work; they understand their duty of care, that they are to oversee management and ensure that they are protecting organizational resources. They’re good at the legal and financial aspects. Most nonprofit boards are comprised of people who really care about mission, and the best nonprofit boards keep mission present in their dialogue and decisions. If an idea comes up, it is judged with respect to the mission. For instance, the RiverWoods board never loses sight of our mission. In addition, the RiverWoods board truly partners in leadership with the executive director. We have mutual respect, trust and candor, which allows trustees to push back in the boardroom, rather than just accept everything at face value. At the same time, the executive director can say what needs to be said as well as float trial balloons for board consideration. There’s no fear of reprisal in either direction which makes for better governance. In addition, there are no surprises. As for weaknesses, nonprofit boards are collections of individuals who serve for a variety of reasons. Some people join boards because it will look good on their resume; that is, it’s self-serving for these people to have their name associated with the organization. Another weakness comes down to culture. One type of dysfunction is having a select number of people on the board who control the dialogue and call the shots, and the others just go along. I’ve also seen boards that are rubber stamps for management; that is, accountability as a collective is lacking. Another weakness I’ve seen with some boards is that trustees ask mostly operational or “in-the-weeds” questions, rather than strategic or visionary questions—the kind that make you reexamine your own thinking in positive ways. LeadingAge: What about the division of responsibilities between CEOs and boards: Is it defined clearly enough in all boards? Cathy Trower: One thing I consistently hear from CEOs is that this division is not well enough defined. What that means is that trustees are stepping in where they don’t belong. Although this may be well-intentioned, it isn’t something you want. There are reasons trustees overstep. Some of the most common are: (1) CEOs are not bringing substantive issues to the board; (2) there are too many meetings; and (3) agendas are overly simplistic with mostly reporting, so trustees are in passive mode, and grow restless and bored. If the board doesn’t have anything to sink its teeth into, trustees may overstep into operations because they have nothing else to do. If decisions are seen as faits accomplis, then the board doesn’t have a chance to really govern. That’s a problem I put on management. The other issue is one that rests with trustees: It’s the well-intentioned, “I just want to help” attitude, even if they don’t know how, or jump in full-force without being asked by management. LeadingAge: There are organizations in which the CEO drives the agenda almost all the time. How do you find a balance between the leadership of a CEO and a board? Cathy Trower: Good question. You get into trouble when it’s either/or. It shouldn’t be just the CEO driving the agenda, nor should it be just the board chair. The pivotal relationship is between the board chair and the CEO. They shouldn’t be out of alignment, and there should be a co-creation of agendas between CEO and board chair, or perhaps an executive committee for bigger boards. LeadingAge: This raises the issue of the role of personalities; it’s easy to see how one dynamic personality could tip the balance too far in one direction or the other. Cathy Trower: This gets into the collective aspects of governance. In other words, it shouldn’t be personality-driven, but culture-driven. A lot of CEOs have strong personalities, they’re dynamic and visionary and people want to follow them, and that’s a good thing. But you also have to look at the board chair. The chair must be able to, in private moments with the CEO, push back and say, “The board needs to talk about this, and here’s why.” I will say, it can be difficult for a board to overcome a weak board chair. LeadingAge: How often do you run across a weak board chair? Cathy Trower: Maybe a quarter of the time. Maybe I’m not being generous today, maybe it’s more like 15-20%. But it’s often enough, and I wonder, why did that person get to be board chair? Of course, in some cases, no one else wants to be the board chair because it’s a big job and typically a big time commitment. LeadingAge: When it comes to electing board chairs, what are considered best practices? Cathy Trower: What BoardSource recommends is that first, there should be a job description for the board chair, which should be periodically reviewed. [Click here to download.] And then there’s a full conversation at the board level about the qualities needed from the board chair. One important thing is the relationship with the CEO. It’s essential to choose a chair who isn’t adversarial with the CEO, and you don’t want one who’s best friends with the CEO, either. Also, consider the point in time your organization is in: Does it need a powerhouse chair right now, or does it require some other kind of person? Oftentimes there’s a rather obvious heir apparent to the chair position. BoardSource brings people onto its board with the idea that “this person could be a chair at some point.” We’re looking for leaders who could step into committee chairships, task force chairships or the chair position. It’s always in our minds. LeadingAge: Regarding the identification and recruitment of new board members, many of our members are looking at a broader group of candidates than they once did. What are you seeing? Cathy Trower: That is absolutely a trend. The types of people who served us well in the past aren’t necessarily the ones who will continue to. There is pressure now, because of the complexity of the field in which we sit, and the times and challenges we face, to ratchet up the expectations for sitting on a nonprofit board. Many founding board members were nice citizens who agreed to do this work, but are not necessarily who we need to lead our organizations in the future. At RiverWoods, we have resident members. They bring so much to the table; they are incredible people who have done amazing things before coming to live in the community. RiverWoods was founded by residents, so that’s one reason we never lose sight of the mission, and it is so essential we have residents on the board. Here’s another trend I’m seeing: Boards are not just looking for skillsets and diversity in terms of gender and age, etc., but also looking at what kind of thinkers these persons are. What will they bring to the team in terms of the way they think and interact? Are they divergent or convergent thinkers? Are they strategists or more focused on finance? Are they devil’s advocates or consensus builders? We should look at the group as a whole and think about gaps. We need IT people, health care people, people who are strategists, people who understand the environment. It goes beyond the typical things we think of and into style, and how they think and what they’ll bring to the team. LeadingAge: With clients do you recommend any methods of recruitment apart from the traditional personal networking model? Cathy Trower: I don’t recommend using a search firm, for instance, though some boards do that. Our networks are important in bringing people to the table—and they should be fully vetted—but I think networks are still a great place to find your stable of potential board members. Checking them out by putting them on a committee first, or a task force, or engaging them with the organization in some way before you invite them to the board, is also important. Date before you marry. LeadingAge: Many of our members ask prospective board members to spend time with residents. Cathy Trower: That’s awesome. Have them attend a dinner or social function so they get to meet the residents and vice versa. You can tell a lot about a person by those informal settings. Are they comfortable with older people? You get a sense for that and it’s important, because you want the ones that will fit right into the community and love it. LeadingAge: Let’s talk about restructuring of boards. Do you see any trends, for instance significant changes in sizes of boards, or restructuring of committee lineups, etc.? Cathy Trower: I haven’t done a lot of work yet with aging-services boards. I work with a lot of university boards, and they’re huge. They get big for philanthropic reasons, and I understand why they do that, but I don’t think it’s a good idea to grow a board. I do work with big boards all the time and they can work. But of course, big boards wish they were smaller and small ones wish they were larger. If you shrink in size, you probably had too many committees before, because a big board has more people to populate committees. Some organizations develop committees just so they have spots for their board members. As we shrink, or even stay the same size, it’s important to review the committee structure periodically, at least every 4-5 years. Is our structure serving us well? Are our committees actively engaged in advancing priorities in the strategic plan? Does strategy drive our structure rather than vice versa? This is where we’re seeing more “ad-hocracy.” You can build a task force to work on an issue but it doesn’t have to be a standing committee. It does its job and then it’s done. That’s a big change we’re seeing and most trustees really like it. LeadingAge: Structural changes can make a big difference for a board, but how often do you see problems come down to a matter of norms, relationships and personalities? Cathy Trower: I rarely see governance go awry over structure. But I see it go off the rails frequently over personalities and the culture in the boardroom. There’s an old saying that culture eats structure for lunch. In a dysfunctional situation, restructuring can be like moving the deck chairs on the Titanic. Putting dysfunctional people into new committees won’t change anything. In some ways, it might add a different kind of stress that makes things worse. It’s much more about the finessing of the personalities, and what’s normative—what’s tolerated, what’s allowed and what’s expected? Most boards can do a much better job on that, and some boards are writing out a set of norms and expectations for board members. It’s a good job for the governance committee, too, especially as you’re thinking about vetting and onboarding and recruiting new people. Ongoing education for the board is also important. LeadingAge: What’s the starting point in trying to help a dysfunctional board culture? Cathy Trower: A colleague at Penn and I have designed a board culture assessment. It’s a tool to help boards uncover what their culture is, and it’s a springboard to be able to talk about it. In other words, you can see whether you have consolidated influence on your board, or if it is distributed. You can determine the mindset of the board: is it mission-focused or predominately business-focused? The instrument measures divergent vs. convergent thinking in the boardroom and gets at trust, respect and candor. People know about the problems among trustees and in the boardroom; but until you have some data, people are reluctant to call them out. The assessment helps the board name and spot the elephants in the room. It’s done anonymously, but then everything can be discussed around the table. If the board doesn’t want to invest in something like that, a great thing to do is to have each member anonymously write, on an index card, 2-3 words they’d use to describe the culture of the board, and the manifestations of that. You gather those cards and play that back to the board. Then you can say, “Here are the patterns we see,” and you can ask, “What’s the culture we want? How would you describe an ideal culture for your board?” It’s simple but elegant. What’s important to keep in mind is that boards are social systems and they each take on their own personality and culture. It’s important to understand the board’s culture so that you can work within it and improve it, as necessary. I’m a firm believer that our organizations are only as good our boards and that a board resource that’s squandered is a terrible waste of a precious commodity. The staff and residents deserve the very best the board has to offer!